The Santa Claus from Esbjerg is equal with me. You can only be Santa Claus if you have it in your hart and it is told, that I have more than enough of it. My motivation for being Santa Claus is clear for me; too see the children’s big eyes when they discovers Santa Claus, pulling in their parents, so that they also can meet Santa Claus in person. To see hole families forget sorrows and concerns for a moment and just enjoy Christmas and what it stands for. As Santa Clause from Esbjerg, I have been nominated as “Santa Clause of the year” for several years, by the Danish Santa's association. For 2017, I got the Golden spoon by the Danish Santa association, for my social work with children. I have also been in Hong Kong and Japan as an official reprehensive of Denmark on several occasions, as Santa Claus. I myself am arranging Christmas party and gifts for especially vulnerable children each year, with great success and a lot of joy for all parties. 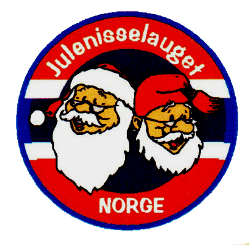 There is no Christmas without the real Santa Claus from Esbjerg… Ho, Ho, Ho! Looking forward to meet you, if not before, then at Christmas evening December 24th. I have worked as Santa Claus now for over 10 years, I am enjoying every single minute of it, and it is very giving. I am Santa Clause in shopping centers, public or private institutions and at private parties. I would be pleased to post for pictures with the children (the adults may also be included). I can come to Christmas arrangements you have arranged yourself, or you can hire me to arrange all for you with music, tease nisses and nisse girls and then me, Santa Claus off cause, Ho, Ho. You can get it more or less, as it fits to you, contact me and we find the solution that suits you and the situation the best way.